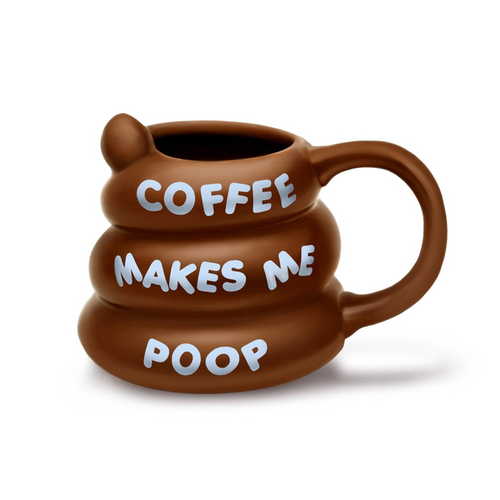 ​Herald coffee's natural superpower on your bowels with this ceramic mug. A continuous brown coil shape takes the look of a poo. Two-sided imprint lets people know that "cup of coffee makes you go". Holds approximately 8 ounces. Hand wash recommended. Comes in colorful gift box.